Unity Technologies has opened a beta program for Windows Phone 8 apps, and invites experienced developers to start testing. Unity's cross-platform development tools can be used to create games for a multitude of different platforms, including smartphones, PCs and game consoles, simultaneously. The new beta program is "a chance to preview Unity 4 for the Windows Phone 8 platform and get a foothold in an all-new marketplace that is looking for great games," the company said in a blog post on Wednesday. Unity underlines that support for Microsoft's smartphone OS has not yet reached maturity; it is still working on optimizing the performance, according to the blog post. There are also bugs and some features missing, it added, but it feels that experienced developers can take advantage of what it has to offer. They will, for example, be able to port existing games to Windows Phone 8 using the early builds. The Wednesday announcement comes just three weeks after a similar program for Windows Store apps was announced. Together the two programs allow developers to create games for the entire Windows ecosystem, according to Unity. 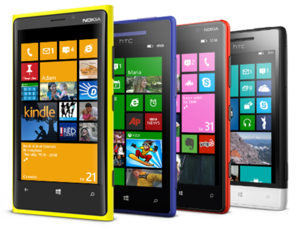 Developers interested in the Windows Phone 8 beta program can head over to Unity's website and sign up. Developers who join the program will get a two-month trial license key that will unlock support for the OS. Unity notes that any project deployed with a trial license will be watermarked and is not meant for commercial release. The availability of applications is key to the success of any smartphone operating system. Cross-platform tools are especially important to ones with less market share, like Windows Phone 8 and BlackBerry 10, because they lower the bar for developers who would otherwise focus on creating apps for Android and iOS. Unity is working on adding support for BlackBerry 10 as well. The company has had a busy start to the year, showing how important gaming has become on both the Web and mobile devices. Just this week it announced partnerships with Facebook and Qualcomm at the Game Developers Conference in San Francisco. Earlier this month it also announced a partnership with Sony, which it will work with on developer tools for the PS4, PS Vita, PlayStation Mobile, and Sony's upcoming cloud gaming service.